For the very first time, Cliff will bring his sold-out 60th Anniversary Tour to the big screen. The 60th Anniversary Tour will be captured live and screened at Riverside for a limited time only. 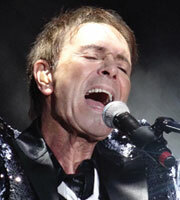 Featuring a selection of his greatest hits across six decades, this will be Cliff Richard’s most exciting tour yet. His incredible energy and passion on stage will sweep you off your feet and be sure to have you swaying in the aisles. You are invited to celebrate Britain’s ultimate pop stars 60 years in the music industry. Don’t let your friends miss out on this fabulous big screen party – Share the Facebook event with them.